Amir Rajan and Venkat Palivela, two of Improving’s many brilliant developers, recently contributed to the Hackathon at the ATT Foundary this past weekend. This looks like a lot of fun and some great experience for high school students preparing to take on the next wave of innovation challenges. Check out the article and video on WFAA’s website. These two guys also contribute to open source, speak at public user groups, and do other cool stuff in the technology community. Amir even has a personal budget app in the Windows Phone Marketplace. 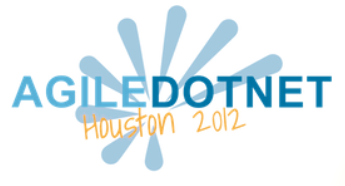 I recently gave a talk (twice) on end-to-end agile development with Visual Studio 2012. I covered the base concepts of agile development and what makes it different from traditional software projects, then move on to the mechanics of scrum with a little demo of using Visual Studio 2012 tools to handle the roles of Scrum Master, Developer, and Tester. Thanks to Shawn Weisfield for recording and posting to his awesome community support site.